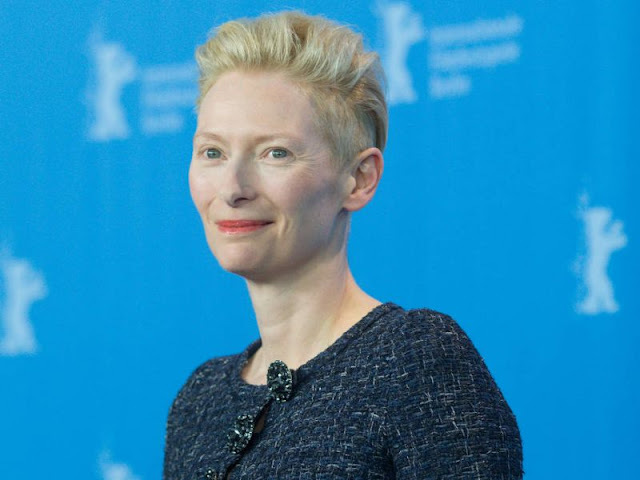 Actress Tilda Swinton will accept David Bowie's posthumous style honour at the 2016 Council of Fashion Designers of America (CFDA) Awards on his family's behalf. The Starman hitmaker, who passed away in January (16), was announced as the recipient of the CFDA's Board of Directors' Tribute Award in March (16), and now it has been revealed Oscar winner Swinton, who portrayed the rock icon's wife in the music video for his 2013 track The Stars (Are Out Tonight), will be on hand at the New York ceremony on 6 June (16) to pick up the prize. Former Dexter actor Michael C. Hall, the star of the late singer's Off-Broadway musical Lazarus, will also take the stage during the prizegiving to pay tribute to Bowie. His stage show had been due to close on 17 January (16) - seven days after Bowie's death - but producers extended its run by three more days to satisfy fan demand, which soared following the star's passing. Jennifer Hudson will also perform at the CFDA Awards, which will be hosted by comedian and actor Joel McHale. "His experience as a host, an actor, a comedian and someone who comes from outside the fashion industry will keep the night lively, topical, and unexpected," states Steven Kolb, President and Chief Executive Officer of the CFDA. Other honourees set for the Hammerstein Ballroom bash include Big Apple-born fashion designer Donna Karan, who will receive the Founder's Award for her contributions to the industry, Gucci's creative director Alessandro Michele, who will be presented with the International Award, and Norma Kamali, who will pick up the Geoffrey Beene Lifetime Achievement Award.